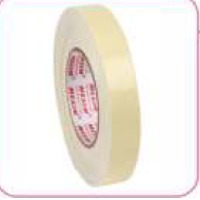 Guangzhou Buyfree Tape Co., Ltd.. Supplier from China. View Company. 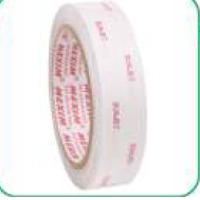 More Items Similiar to: Guangzhou Buyfree Tape Co., Ltd.
Bopp self adhesive tape , Masking tape , Tissue tape , Double side tape ,insulation tape , vinayl tape , plastic strapping roll ( p.p. & pet ) woven sack fabrics, flexible packaging materials , carry bags , electrical switches, plastic carry bags. Specification: Net wrap (pe), (pallet), roll, natural white, 50cm wide, 3000lm/roll. Can produce 50cm to 75cm width, 500m to 5000m length rolls for mannual and automatic operation. 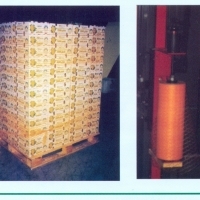 Specification: Net wrap (pe), (pallets), roll, 50cm wide, 3000lm length/roll, natural white. We can produce 50cm & 75cm width and 500lm to 5000lm long rolls for manual and automatic operations. Specification: 1. Suitable for packaging in all weather conditions. 2. Keeps your content completely safe during transit. 3. Its adhesive has fantastic tack and adhesion to surface. 4. Perfect in length size. 5. Bears excellent grip. 6. Excellent in extreme conditions of pressure. 7. Sticks easily and quickly. 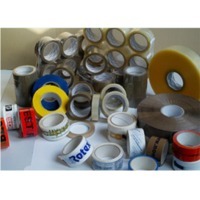 We are one of the prominent Manufacturers and Exporters of extensive range of packaging products such as Biaxial-Oriented Polypropylene (BOPP) Tape & all kinds of Industrial Packaging Tapes. 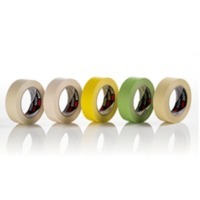 Major USP of our BOPP tapes is high tensile strength, excellent peel strength, non-aging, easy unwind and equally moist proof. We introduce to our clients a steadfast array of BOPP Tapes, which is developed under the strict supervision of our talented professionals. Features: -Suitable for packaging in all weather conditions. -Keeps your content completely safe during transit. -Its adhesive has fantastic tack and adhesion to surface. -Perfect in length size. -Bears excellent grip. -Excellent in extreme conditions of pressure. -Sticks easily and quickly. Specification: Net wrap (pe), (pallets), roll, 50cm wide, 2500lm/roll, natural white.